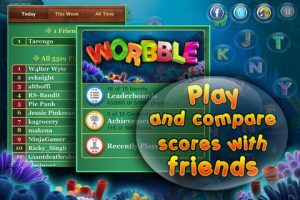 Worbble is an iPad game developed by Milestone Interactive. 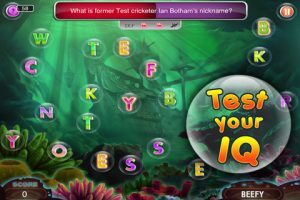 With a fun underwater theme, this unique game blends wordplay and spelling games with general knowledge trivia. 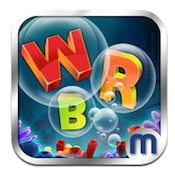 In the “Word Mode” of Worbble, you must build words from the bubbles around you, each of which contains a letter or powerup. As the clock ticks down, you can buy yourself a little more time by building the longest, most complex words that you can think of. There is a delete key, which lowers the level of difficulty a bit. I was pleasantly surprised by the number of complex, offbeat words it accepted, words that I was frankly surprised made it into Worbble’s dictionary. 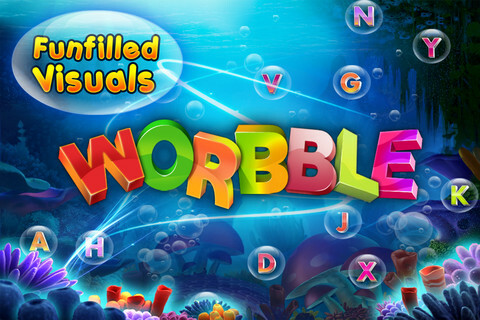 Worbble would be worthy buying just because of this spelling game, but there’s a lot more to this fun game. There’s also a Quiz Mode, where players must navigate 3,500+ questions. These trivia questions span categories like entertainment, sports, the arts, literature, history and more. If you get stumped, you can use your hints (or buy more hints.) Alternatively, you can just skip questions and save your precious hints. There’s a lot to like here, especially based on this statement from the developers on their App Store page. They write, “We will continue to introduce new features in the game. 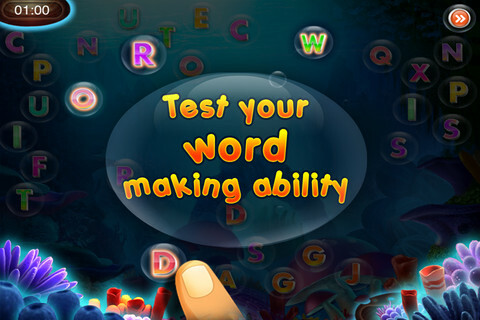 The game will be updated regularly with tougher & more innovative word levels and more questions for the quiz mode.” Pay 99 cents now and you’ll get even more content in the future when Worbble gets updated in the future! With simple controls, and an attractive, undersea graphics theme, Worbble is a solid title for educating kids or just passing the time. 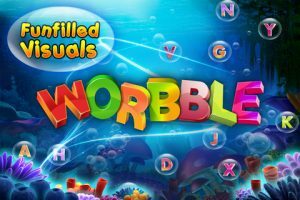 I was a little underwhelmed by Worbble when I first heard about it, but this game really grew on me as soon as I started playing it. Worbbleis compatible with iPhone, iPod touch, and iPad. Requires iOS 4.3 or later.